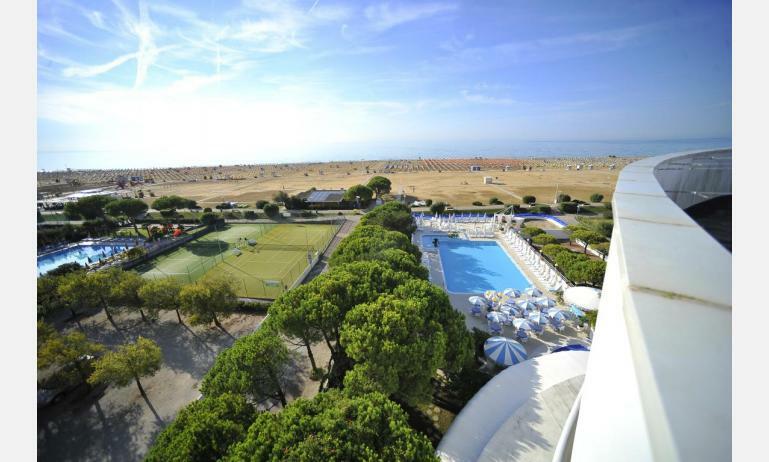 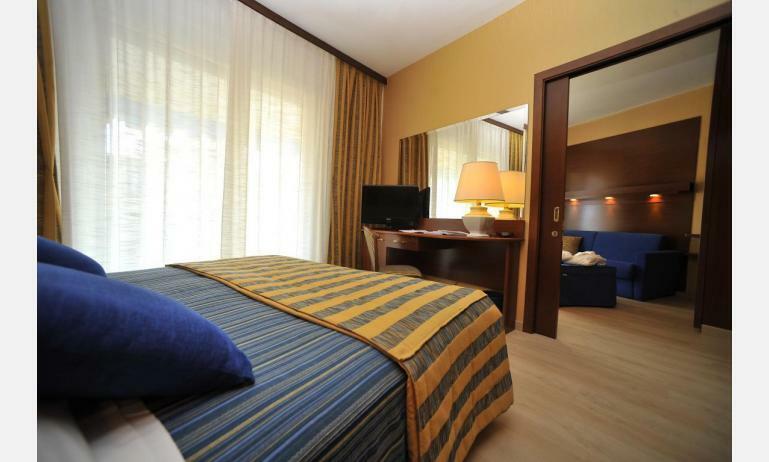 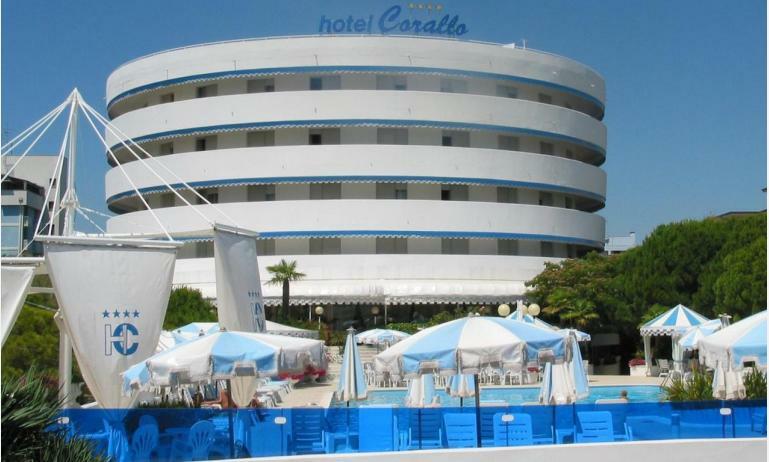 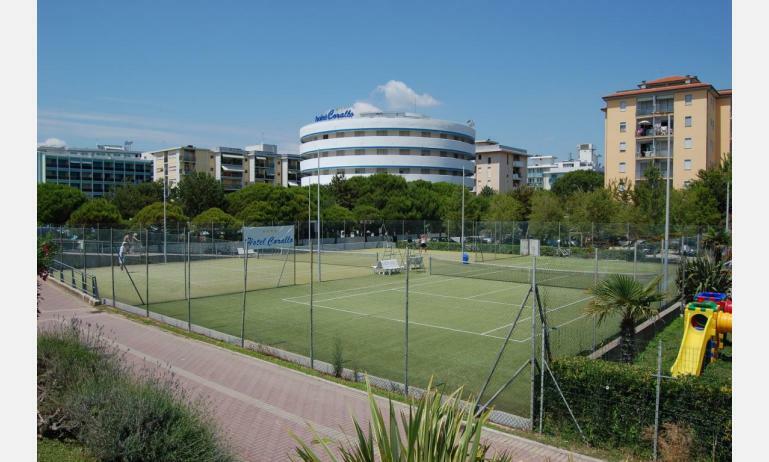 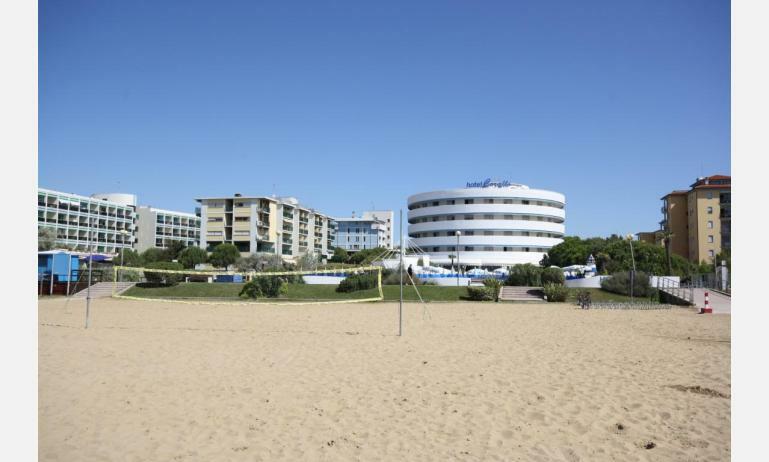 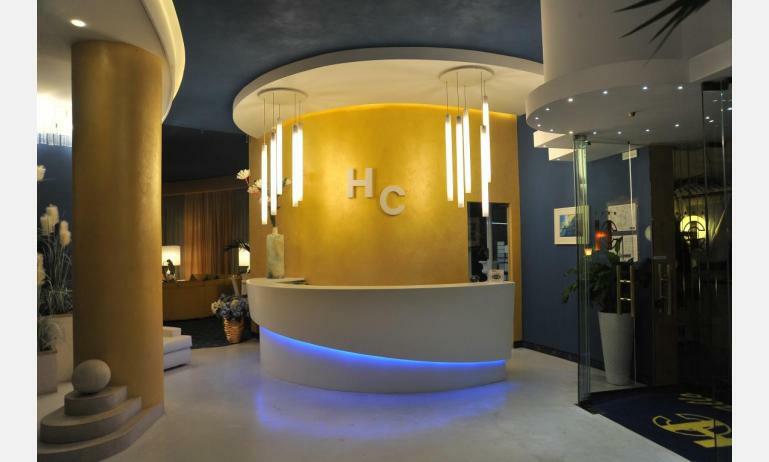 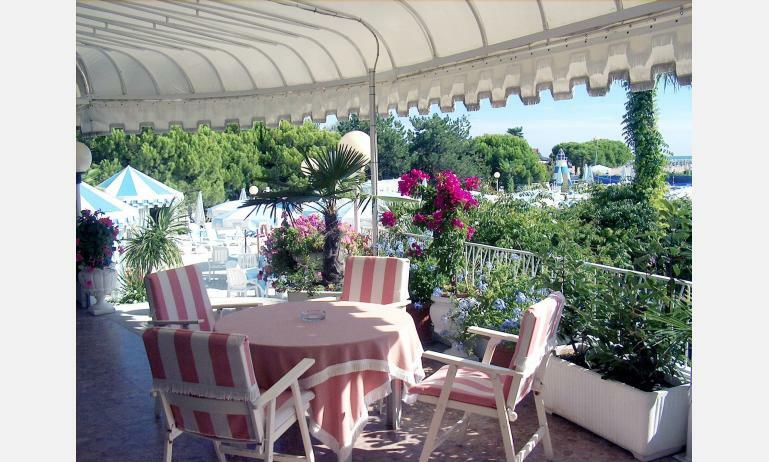 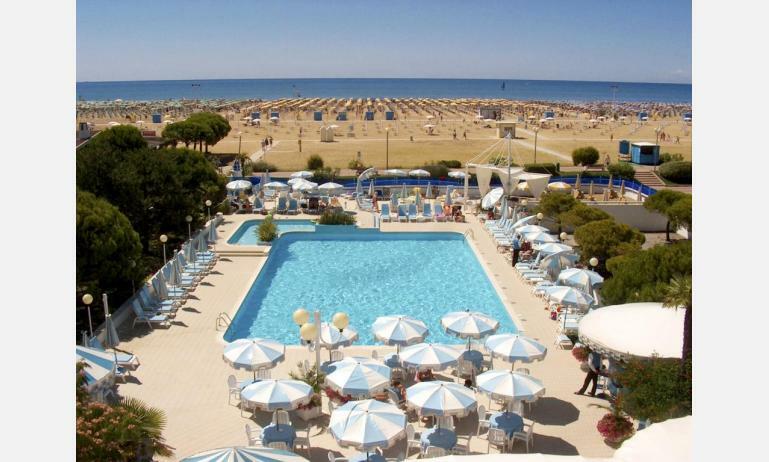 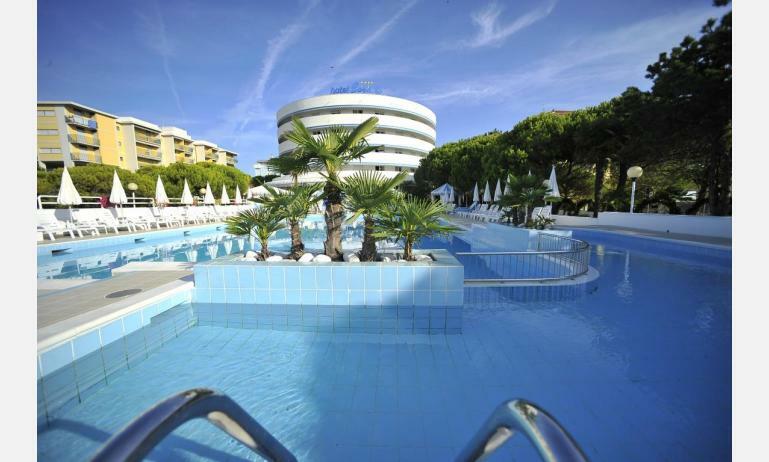 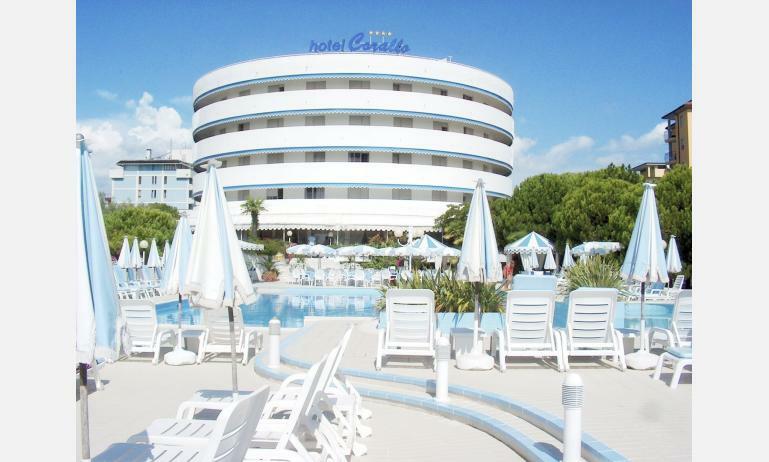 The hotel CORALLO is situated in front of the beach at Bibione Spiaggia, about 100 m from the centre. 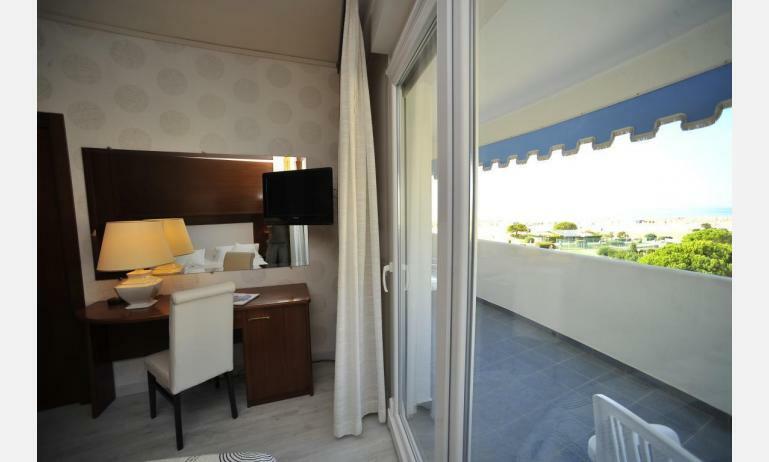 All rooms have private facilities, telephone, Tv sat, balcony (some with sea view) and air conditioning. 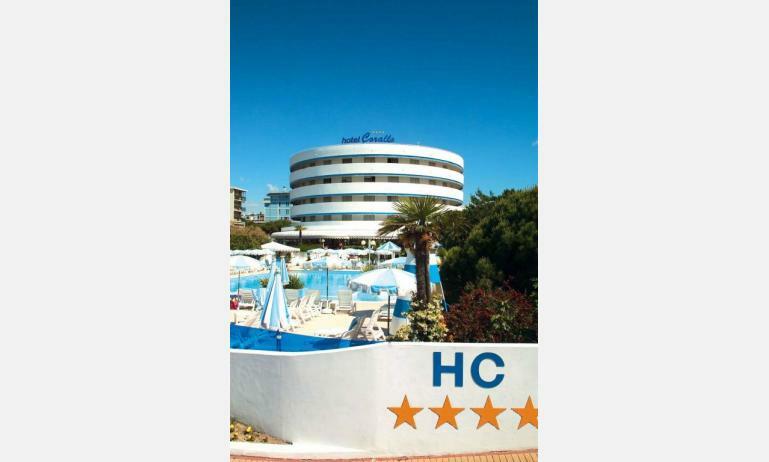 Fully air conditioned, the 4 stars hotel offers to the guests private beach, swimming-pool for adults and children, WIFI internet connection, solarium terrace with sun beds, playground, garden, tennis, terrace bar with panoramic view, parking place, large and luminous dining-rooms, TV room, lift. 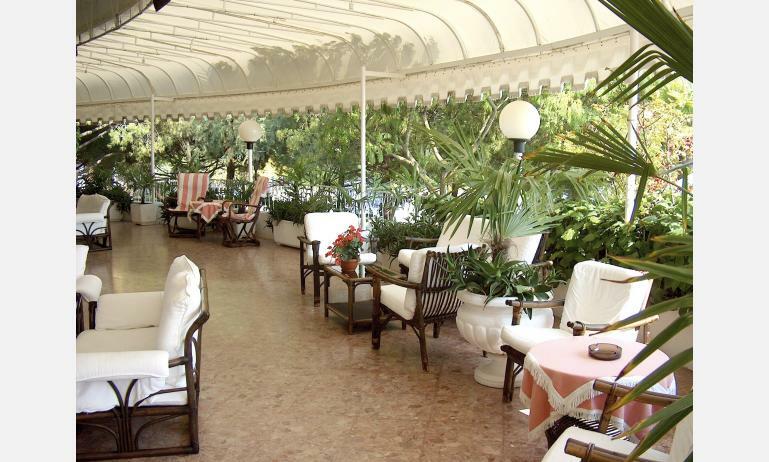 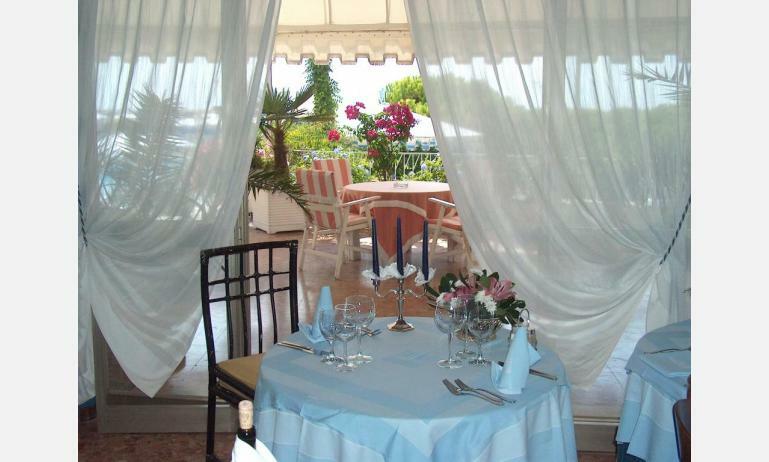 The Hotel is attended personally by owners and offers international and regional cooking. 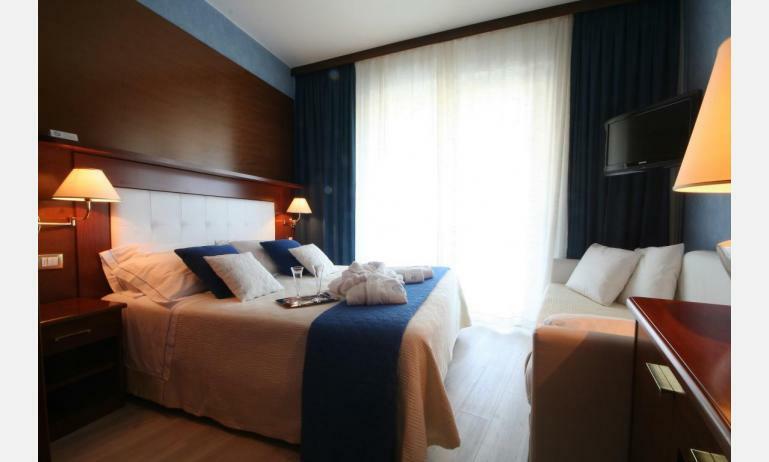 Classic family: bedroom more larger than the classic room with 1 double bed and 2 small single beds (cm 160 x 80), bathroom and balcony. 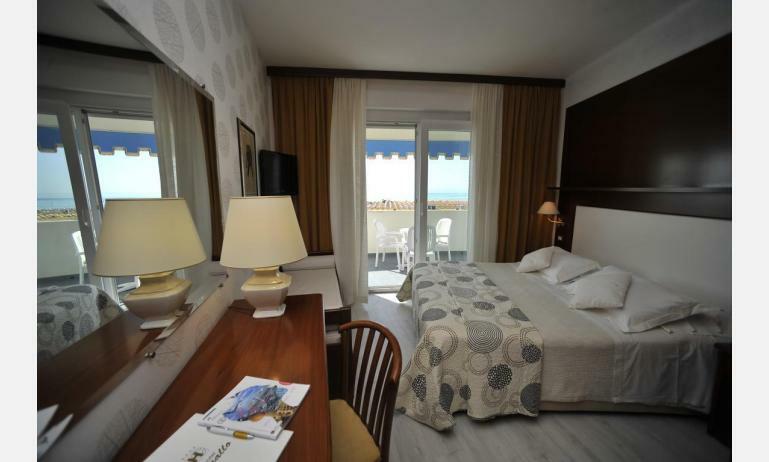 Comfort family: 2 connected Comfort-rooms divided by a sliding door: 1 double bedroom, 1 bedroom with 2 single joinable beds, 2 baths, large balcony with side sea view. 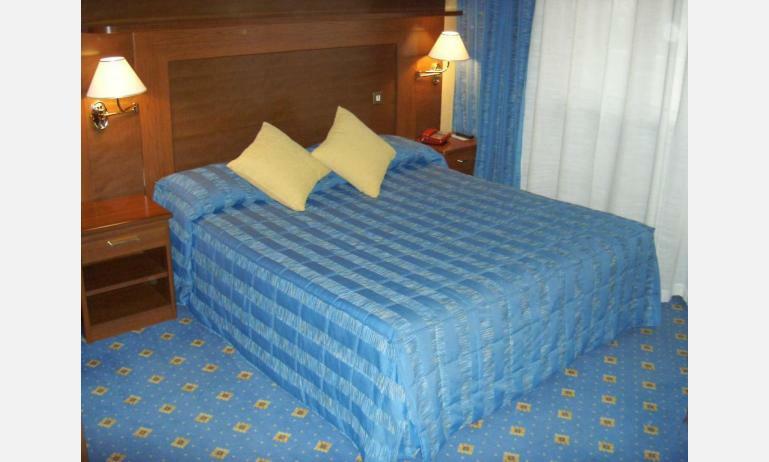 Possibility of 3rd bed or cradle in each bedroom. 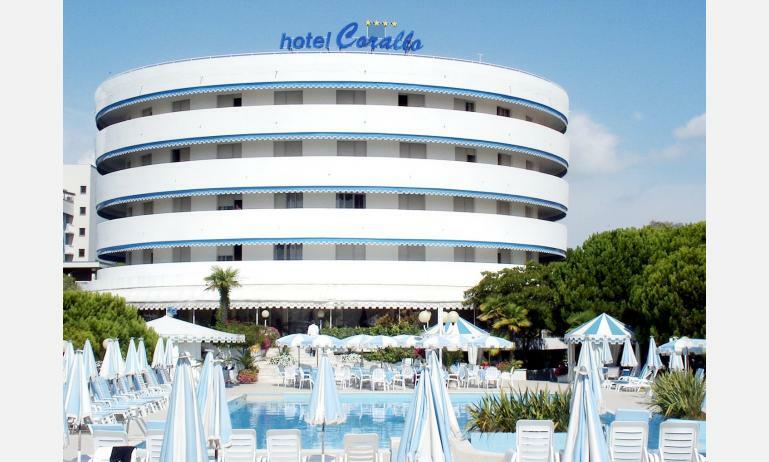 - at least 4 full rates! 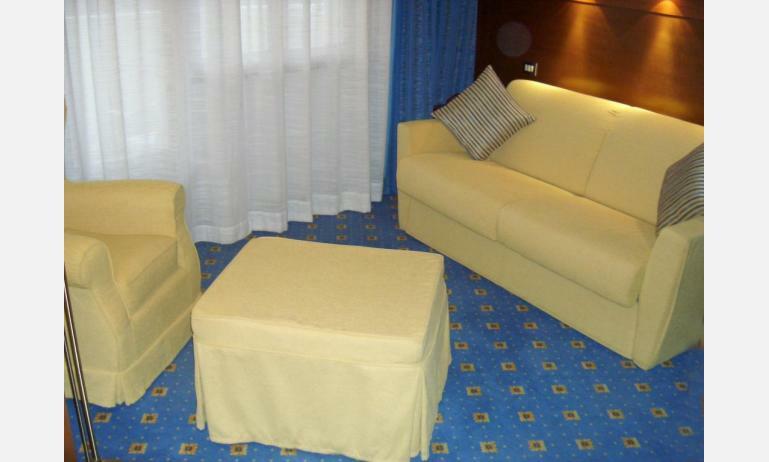 Junior suite: (about 30 m2) double bedroom + small living room with sofa-bed for 2 persons, 2 badrooms and balcony with partial sea view. 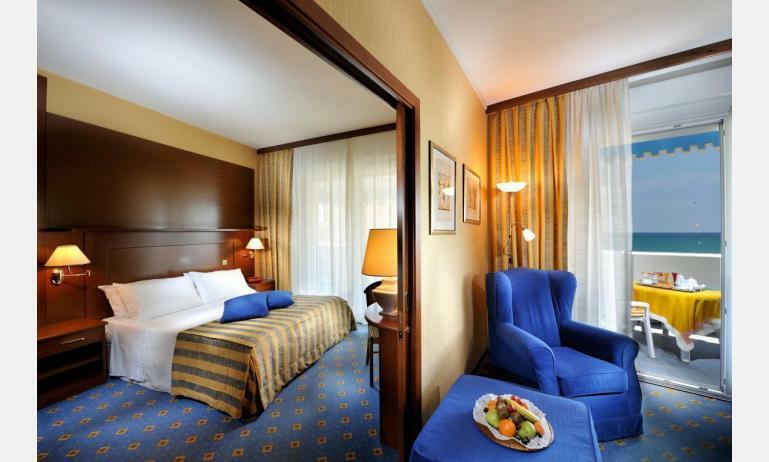 Wooden-parquet floor. 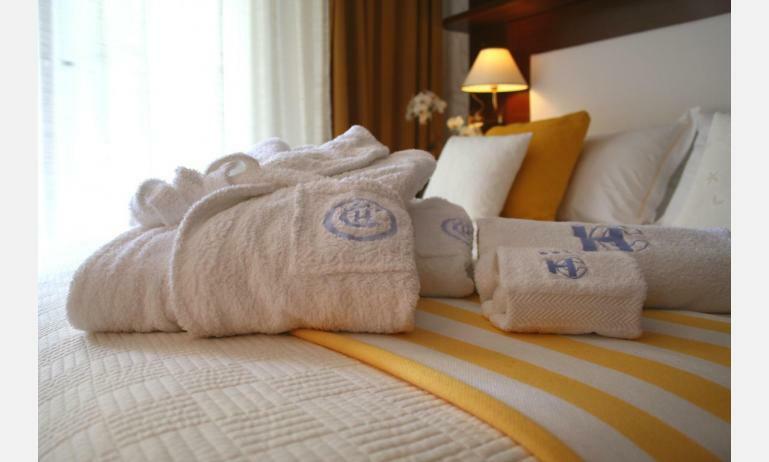 The room provides of klette (water boiler) and bathrobe. 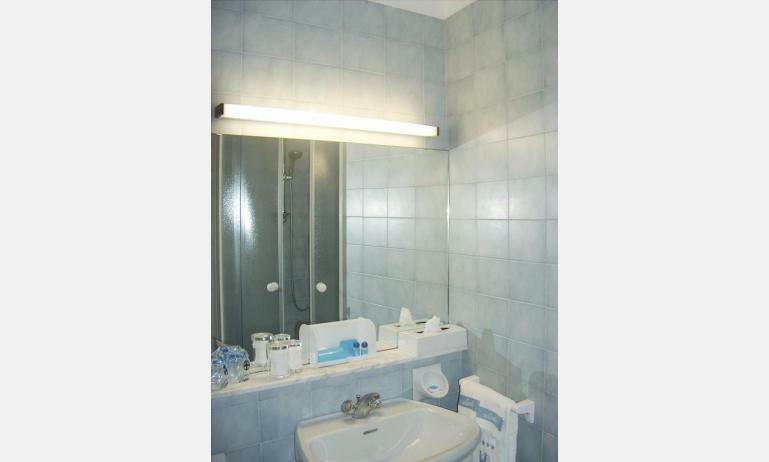 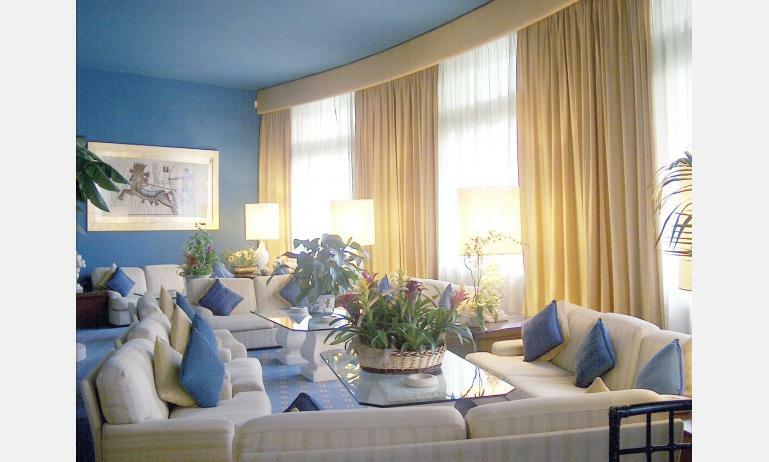 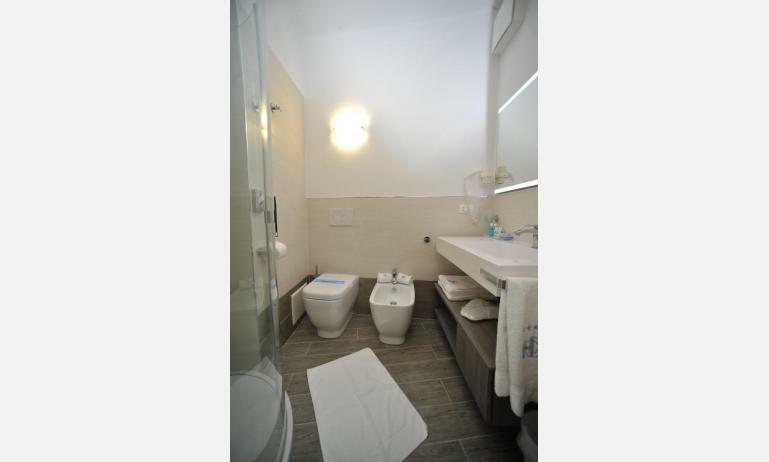 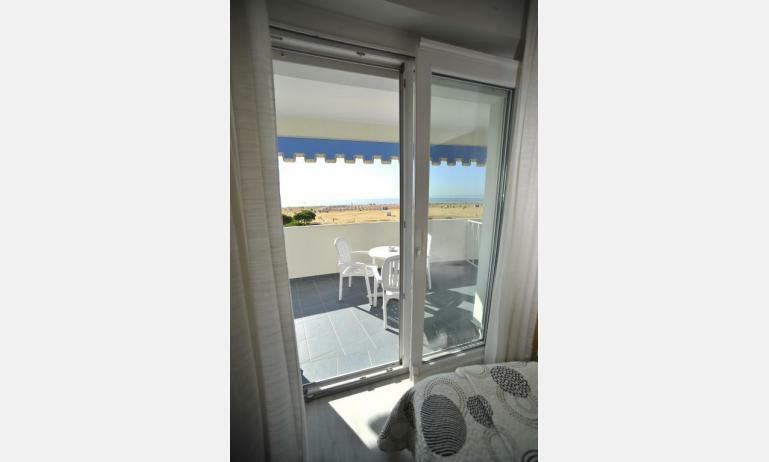 Superior: (about 18 m2) double bedroom with renewed bathroom and balcony overlooking sea and pool. 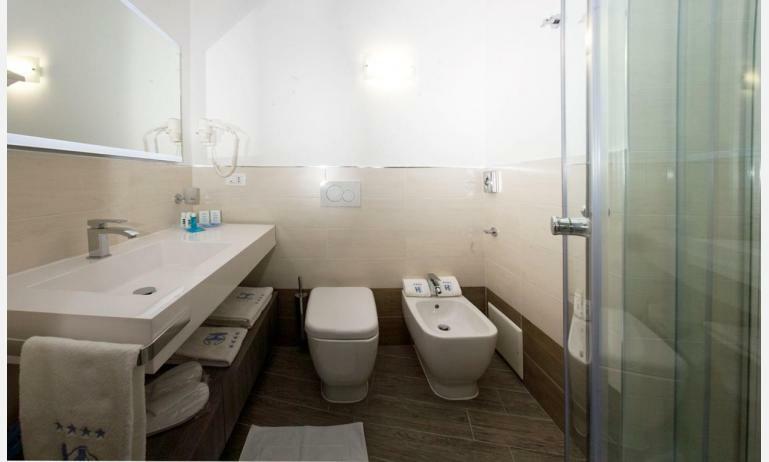 Possibility of baby cot or small single bed (cm 160x80) suitable for child up to 10 years; - the room provides of klette (water boiler) and bathrobe.